In this chapter, Keat considers what role ethical judgement can and should play in political choices, in particular, choices between market and non-market institutions in the provision of cultural goods, taken to include the various arts, broadcasting, and academic research. Against some liberal critics, he argues we should allow a place for ethics in politics, and doing so presents no threat to liberal principles, but rather deepens the basis upon which political choices can be made. In addition, Keat provides a fascinating history of his own philosophical engagement, since the early 1990s, concerning the limits of competitive markets, and, in particular, their role in respect of what Alasdair MacIntyre calls ‘practices’. 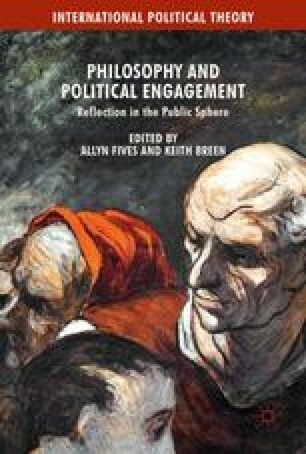 In doing so, he illustrates just how philosophers can engage in matters of public importance with intellectual honesty and social commitment.